Stay tuned for more information about the 2019 race – coming soon! Thank you for a great race! Click here to see the 2018 overall results for the race. Click here to view the 2018 age group results. For ages 5 – 14. All participants must be accompanied by an adult. After registration, participants will receive important race information via e-mail. All ages groups will swim 50 yards (two lengths of the pool). 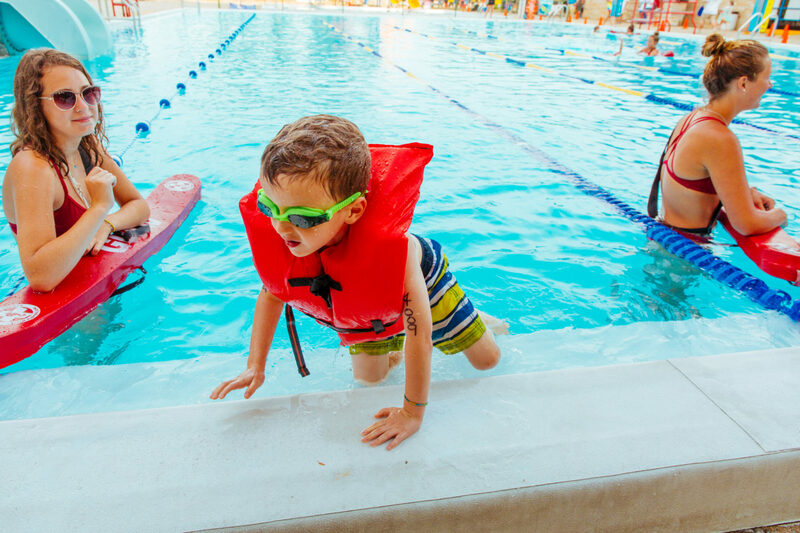 All ages groups may wear floaties and/or use training wheels. Participants must go through a safety check for their bicycles and helmets at Albright’s Cycling & Fitness. More information about safety checks will be provided post-registration. 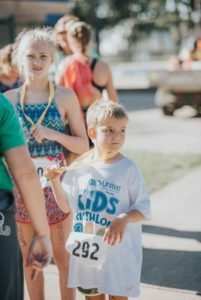 Packet pick-up will be at Potawatomi Park on Thursday, August 1 from 3 – 6 pm and on Friday, August 2 from 10 am – 3 pm. A free pre-race clinic will be held on August 1 at 6 pm at the large pavilion in Potawatomi Park. Parking for the race is available at the IUSB parking lot and on-street along Mishawaka Avenue and adjacent roads. There is no parking available at the Potawatomi Zoo, pool, or anywhere along Wall Street. Registration is $26 per triathlete. 2019 Theme: "Let's Meet for Tea" Tea Party. Tea time can be any time! Join us for a presentation and discussion about how South Bend can embrace the culture of a winter city. What is Best. Week. Ever.? We're celebrating creativity, culture, and progress in South Bend throughout various experiences in our community.